The Centers for Disease Control and Prevention (CDC) states that between 2013 and 2015, an estimated 54 million Americans — more than one-fifth — suffered from some sort of arthritis or other forms of joint pain. By the year 2040, the CDC estimates that 78 million, or more than one-fourth of adults age 18 and older, will have doctor-diagnosed arthritis. Although joint pain is bad enough on its own, it wreaks more havoc when it stops us from doing the things we love doing or the things we need to do in our daily lives. Unfortunately, that’s just what it often does. Joint pain is a leading cause of work disability among adults, and about 44 percent of those with arthritis have what is called “activity limitations,” meaning they can’t do everything they’d like to do because of the pain and stiffness. 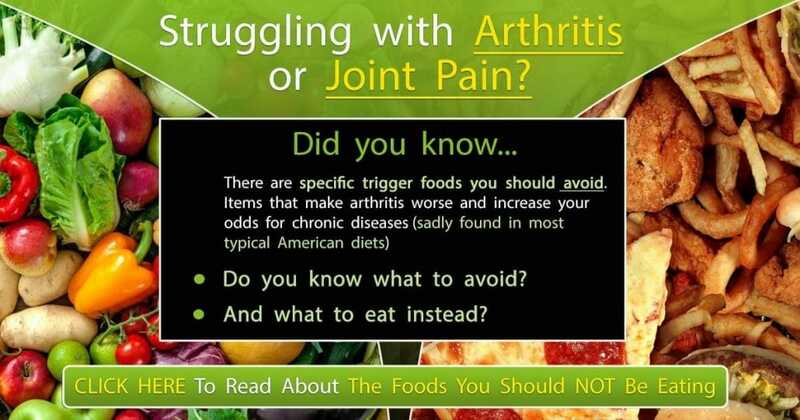 If you suffer from joint pain, whatever the cause, you may be tired of popping over-the-counter pain relievers. Fortunately, there are other options that may help. We’ve got 10 of them below. You may have already tried this one a time or two, but you can experience more regular comfort and improvement if you find a way to add these treatments into your daily routine. Start your day with a long, warm shower or bath to help ease stiffness and make movement easier throughout the day. Then, use a heating pad or electric blanket at night to help reduce morning stiffness. Cold therapy is best after exercise or after a day of being on your feet. It can help relieve swelling and inflammation and get a jump on the pain before it gets too bad. Apply a gel ice pack or bag of vegetables to the painful area for about 10 to 15 minutes. If you do this regularly after activity, you can help ease overall pain and discomfort. Hot peppers have a substance inside them called capsaicin that works as a pain reliever. When applied as a cream, gel or patch, it activates nerve receptors. You’ll feel a heating or stinging/itching sensation and, pretty soon, it goes away. At the same time, the pain goes away too. Capsaicin works on a neuropeptide that is involved in inflammation, essentially “using it up” so that it can no longer cause you discomfort. In a 2014 review, researchers analyzed five studies on capsaicin in participants with joint pain and found that topical treatment four times daily was moderately effective in reducing pain intensity. Epsom salts are high in the mineral magnesium, which is a natural muscle relaxer. When you enjoy a warm Epsom salt soak, your skin absorbs some of that magnesium, which can help reduce inflammation and ease muscle tenseness and tightness. That, in turn, reduces joint pain. Epsom salts can also help improve mobility so that you experience less pain the next day. Studies have been mixed on acupuncture and joint pain, but there have been some positive results. In a 2010 review of 10 studies involving acupuncture treatments in patients with osteoarthritis, results showed that acupuncture “is an effective treatment for pain and physical dysfunction associated with osteoarthritis of the knee.” A 2013 study review also found evidence that acupuncture helped relieve pain and stiffness in patients with fibromyalgia. Acupuncturists believe that the practice works by releasing tight, shortened muscles and stimulating the release of pain-fighting endorphins. 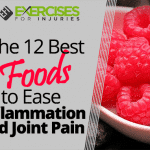 If you’re suffering from joint pain, you have nothing to lose by trying it. The Arthritis Foundation notes that regular massage of arthritic joints can help improve range of motion and ease pain. The massaging motions help calm tense and stressed muscles around the joints, which can provide some needed relief. In a 2006 study, researchers found that participants who received two Swedish massages per week for eight weeks experienced significant improvements in knee pain, stiffness, range of motion and walking. Other studies have found similar results for wrist and hand pain. In one study, just 15 minutes of a hand massage per day eased pain and anxiety and increased grip strength. Omega-3 fatty acids, which are found in foods like fatty fish, walnuts and flaxseed have the power to help reduce inflammation. Since inflammation is the leading cause of joint pain, consuming more of these fatty acids may help. Studies have looked into this and found good results. In 2015, for example, they published an article in the journal Annals of the Rheumatic Diseases noting that three months of treatment with fish oil helped reduce symptoms of joint pain and stiffness more than treatment with a placebo. Other studies have found similar results, with omega-3 fatty-acid supplements helping to decrease tender and swollen joints, decrease morning stiffness, and decrease the use of over-the-counter pain relievers in those with rheumatoid arthritis. In addition to the above-listed sources, you can also find these anti-inflammatory fatty acids in Brussels sprouts, kale, spinach, chia seeds and canola oil. Your best bet, though, is probably supplements. Talk to your doctor about the optimal dose. Transcutaneous electrical nerve stimulation (TENS) is a pain-relieving method that uses the power of the electrical current. You use it by placing sticky electrode patches, which are attached to a small, battery-operated device that you carry with you, around the painful joint. When you experience pain, you hit a button and a low-level electrical current is delivered to the painful area. It is said to work by stimulating the nerves in that area and blocking signals of pain. It may also help produce natural painkillers (endorphins) to make the pain less noticeable. It’s up to you and your doctor to set the machine for the power and intensity that you want. The treatment is completely safe and has been shown in some studies to be effective. In 2003, for example, researchers looked at a number of studies on TENS and found that, in general, it helped reduce pain intensity. Other studies have shown conflicting results so it may not work for everyone. Regular exercise is key to reducing pain and maintaining joint flexibility. The Mayo Clinic notes that exercise is “crucial” for people with arthritis, increasing strength and flexibility, reducing pain and combating fatigue. The problem, of course, is that if you’re experiencing pain and stiffness, it can be tough sometimes to exercise. That’s why doctors encourage patients to do only moderate levels of exercise and to choose low-impact forms that are easier on the joints. Always talk to your doctor first before attempting any exercise regimen. However, try to incorporate more movement into your daily life with one or more of the recommended exercises. Yoga: The Arthritis Foundation notes that yoga has been proven to help people with arthritis improve both physical and mental symptoms. It’s adaptable for any ability level easily, so it’s a good exercise to start with for those with really stiff and painful joints. In a 2012 study, researchers found that yoga therapy worked better than physiotherapy exercises in reducing pain, morning stiffness and even blood pressure and pulse rate in patients with knee arthritis. Tai chi: Tai chi is an ancient Chinese exercise that consists of gentle, fluid movements that are very effective for easing joint pain and stiffness. In a 2016 study, patients with painful knee arthritis who practiced tai chi improved more than those who regularly practiced physical therapy, although both groups did get better. Even more exciting was the fact that the study lasted for only 12 weeks, but the benefits of the exercise lasted for a full year. Pilates: Pilates is a physical fitness system that is meant to help strengthen the body and improve mental health through a series of low-impact exercises that focus on the core muscles in the abdomen. It may also help relieve pain and improve movement in those with joint pain. According to a 2009 study, it helped patients recover after knee and hip replacement operations. In 2015, researchers reported Pilates helped ease the chronic low back pain, with an earlier study finding that it could help ease fibromyalgia pain. Always check with your doctor before trying any new exercise program and always proceed slowly to avoid injury. Once you get your doctor’s permission, it’s worthwhile trying some of these as they may offer you another avenue of relief. Hunter, D. J., & Eckstein, F. (2009). Exercise and osteoarthritis. J Anat., 214(2), 197-207. 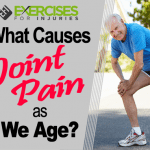 What Causes Joint Pain as We Age?